The government of the Líl̓wat Nation consists of a Political Chief, Culture Chief and 11 councillors who are elected to four-year terms of office. The Political Chief is the respected leader and spokesperson for the Council and the Líl̓wat Nation. The Cultural Chief acts as a cultural ambassador at ceremonial events and gatherings. A mentor to all involved in governance, the Culture Chief provides guidance to the Political Chief to ensure all business is carried out in a culturally respectful manner. The Political Chief, Culture Chief and Council have a legal duty to protect the lands and assets of the Líl̓wat Nation. They also set the overall direction of the administration. Chiefs and Council meet bi-weekly on Tuesdays at 6 pm in Council Chambers at the Úll̓us Community Complex. Council meetings are open to all members of Líl̓wat Nation members. The minutes from Council meetings are available to Líl̓wat Nation members from the Council’s executive secretary. To request a copy of the most recent minutes, please click here. To quickly catch up on what’s been happening in chambers, please click here to review Chief and Council Notes or visit our library of previous minutes. 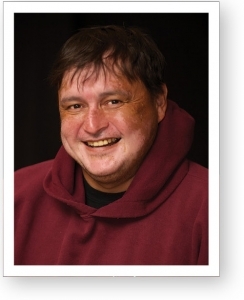 Skalulmecw Chief Dean Nelson served two terms on council prior to being elected Political Chief of the Líl̓wat Nation in March 2015. 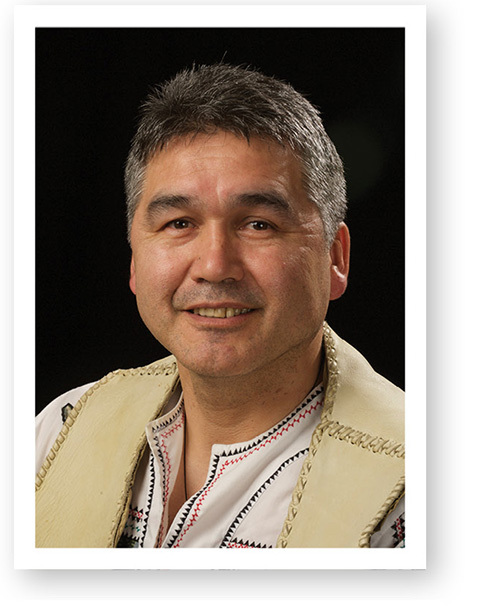 He is the first chief to be elected under the new provision for a four-year term in office. A former P.E. 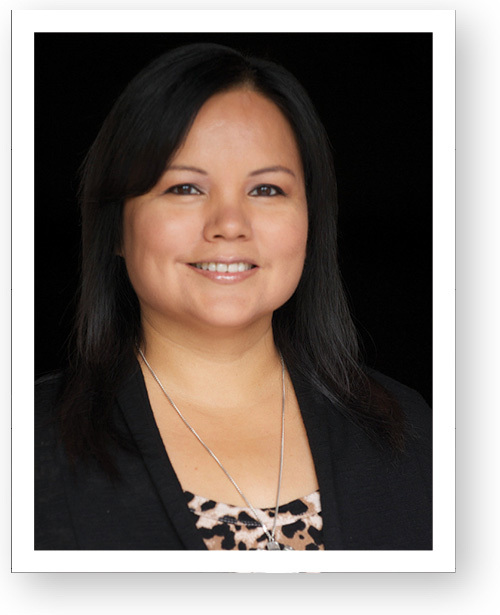 teacher at Xet’olacw Community School, Dean is a passionate proponent for Líl̓wat Youth. As a council member he was responsible for both the Youth and Recreation portfolios. Dean brings to the position of Political Chief experience, commitment and vision. Entsas skalulmecw, my name is Dean Nelson. I have lived here my entire life. I attended the Mount Currie Indian Day School and Ts̓zil High School in the community where learning Lil̓wat7úl culture was greatly encouraged. To be presented the culture and to embrace our culture are two very different things. I have always believed that culture can save or condemn a First Nations person depending on where we are in life. I was fortunate to have key people at a crucial time in my life to assist me with the embracing and the practicing of the Lil̓wat7úl culture that would motivate me to where I am today culturally. As I begin my term as Political Chief for the Líl̓wat Nation, I am constantly thinking of the power of transformation and strong leadership. I have always believed that the strength of Mother Nature and the culture can enhance and shape one’s life. Initially, I saw myself standing on the sidelines, watching our culture for most of my youth. When I became a teacher, I saw my students looking to me for direction as to whether or not to participate in our cultural practices. I asked myself, “How can we expect our children to embrace the culture when we cannot ourselves?” I started by holding a drum on the sidelines — again watching. I felt it was my responsibility to do what I could, so I joined the drumming circle and became strong enough to lead some of the Lil̓wat7u̓l songs. It is truly an honour to serve as the Political Chief of the Líl̓wat Nation. 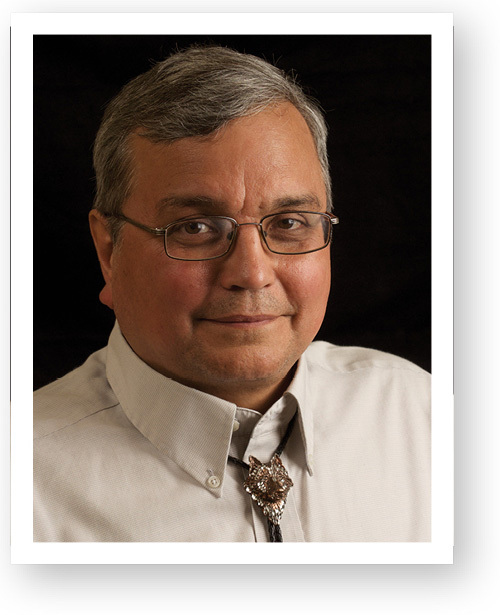 Taya Chief Leonard Andrew served eight terms as the Líl̓wat Nation’s Chief until 2011. In 2015, he was elected to the newly created position of Cultural Chief. 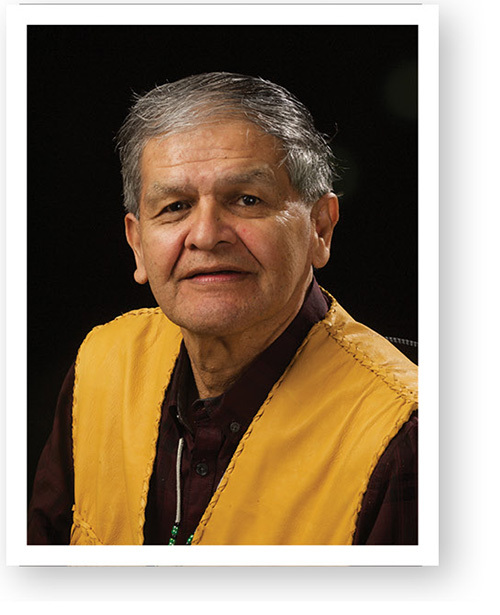 An esteemed elder, in his new role Leonard will ensure that all activities of the Líl̓wat Nation will be conducted in a culturally respectful manner. He will act as an advisor and mentor to all those involved in the governance of the nation. And he will share his knowledge and expertise with the community. Thank you to the people of Líl̓wat for electing me to the inaugural position of Cultural Chief. After serving eight past terms as your chief, I certainly feel I have the credentials. Ucwalmícwts is my first language, this will certainly help in what I want to achieve with the help of Chief and Council, and of course, you. Working with the administration will be a task that will fulfill what is needed to connect our community with the people that work for us. By the time we are finished, culturally, we hopefully can say that the people work with us. It is going to be a pleasure working with the Political Chief Dean Nelson, as it was working with the past leaders. I look forward to the many challenges. The Líl̓wat Nations’ 13-member council is required to fulfill community responsibilities as part of its duties. This goal is achieved through each council member taking on one or more portfolios that address housing, education, land use, fisheries, community wellness, social development, external affairs, agriculture, recreation, economic development, and culture and heritage. Councillors are also encouraged to sit on one of the 21 committees and boards involved in the business of the Líl̓wat Nation. 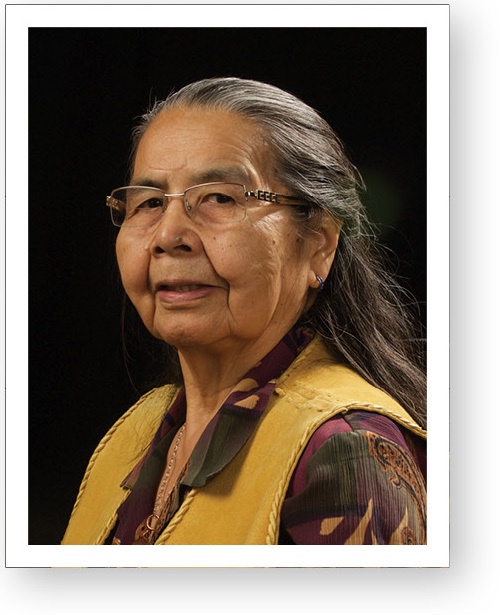 The women and men who represent the Líl̓wat Nation work hard to identify, and solve, issues affecting the community. Their work is carried out under a best practices framework and is guided by the Líl̓wat Nations Strategic Plan, a document that’s revisited regularly to ensure that progress is being made and the promises to the people are being met. Here are the people who have been elected to lead the nations from 2015-2018. Emháka Felicity Nelson sees 2015/16 as being a year of ups and downs. Although she’s worked diligently on her portfolio and committees, she feels there is still much to be accomplished. “As the Nation’s government, we aim to foster an environment of trust, transparency and respect,” says Emháka. “With this in mind, I believe that serving our people must come first. Sitting on the Lower St’át’imc Tribal Council (LTSC), she feels there is value in Líl̓wat Nation belonging to the LTSC but sees pros and cons that need to be discussed. And working with the Housing Board continues to strengthen her conviction that all members should have access to quality, affordable housing while recognizing the board’s success depends on rental being consistently paid on time. Outside of her political work, Emháka stays connected to the community through participation in Gatherings and Graveyard Cleaning. Emháka has served for more than 20 years on council. Holding the Community Services portfolio, Háma7 Alphonse Wallace points to the department’s successful family reunification events as the department’s most impressive achievement. 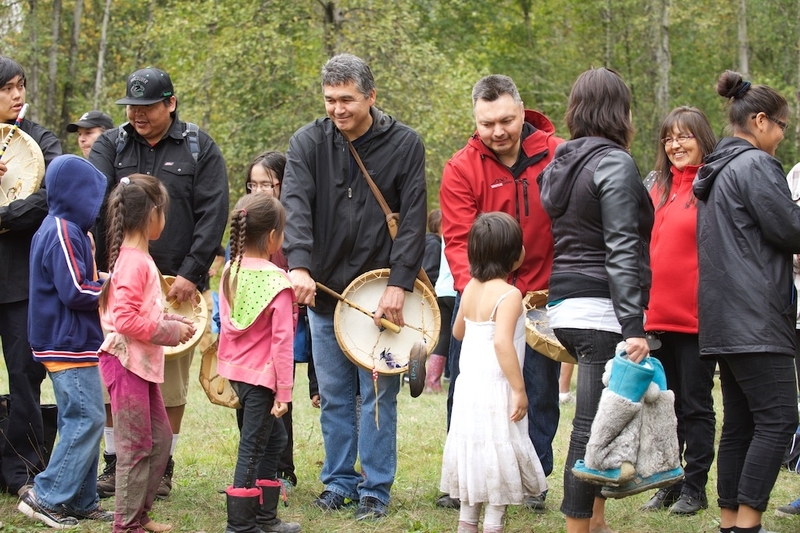 “We had kids from out of province come to Líl̓wat who had never been on a reserve before. They didn’t know their families or their culture,” says Háma7. He believes these gatherings are not only essential to developing a sense of identity amongst Lil̓wat7úl children in care but are also a safety precaution. “It helps us to monitor where the kids are at and how they’re doing. It lets the foster parents know that we do care and we are going to follow the kids̓ through their lives. It shows we have a link to our kids. Another important accomplishment he cites for 2015/16 was leadership adopting and starting to implement the new eight-year strategic plan. “Our council, chiefs and new CAO are looking at dealing with issues that haven’t been dealt with for a while,” says Háma7. On a personal level, he’s proud of the increased opportunities for the Nation’s youth to complete in sports outside the community that community members have created. “It’s also nice to see that the Líl̓wat Nation is creating work experience for youth that helps financially and gives lifelong work skills that are so important,” says Háma7. Háma7 is in his fifth term on council. “I have seen some youth dabbling in drugs and I have taken them and gone a different route. Not a punishment or talking down but opening their eyes by showing them what can happen and what they can get if they stop,” says Kík7ak. New to council last year, Kík7ak sees learning to listen without judgment and expanding her circle of responsibility as her primary achievements of 2015/16. Kík7ak is in her first term on council. 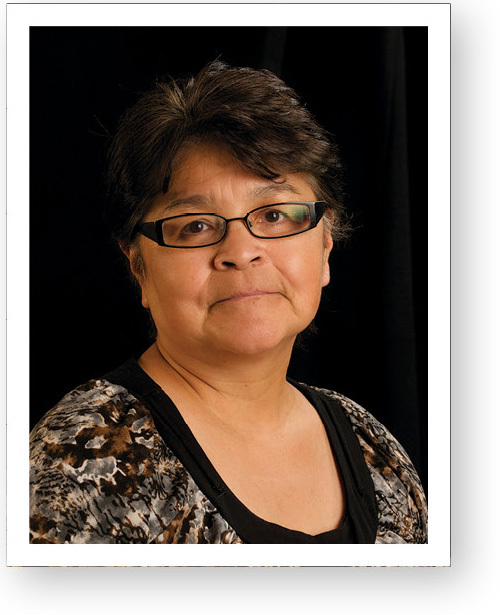 Lhpatq Maxine Joseph Bruce is passionate about First Nations Title, Rights and Responsibilities, developing economic opportunity and working from the positive. Committed to improving the Líl̓wat economy, Lhpatq has held the Economic Development portfolio for nearly a decade, and thanks the leadership and community for trusting in her abilities and commitment. The personal achievement that makes Lhpatq the happiest is watching her children who are coming into their own, and are strong and independent. She is proud of her daughter who recently purchased her own home and announced her upcoming marriage. “Seeing the strength in my daughter is amazing,” marvels Lhpatq. Lhpatq is in her fifth term on council. 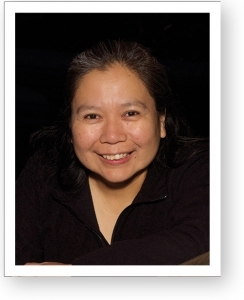 Another project Mamáya7 was involved with last year, through her work as manager of the Li̓lwat7úl Culture Centre, was the publishing of the Líl̓wat Ucwalmícwts Dictionary. Last year, one of those potential young learners was born to Mámaya7̓’s youngest son and his partner. Having raised a boy who has become a great father to her grandson is a personal accomplishment that makes her extremely happy. Mámaya7 is in her 13th term on council. Petsklh Vaughan Gabriel sees his role in working to complete of the Financial Administrative Law (FAL) as being the most rewarding work he’s done as a councilor in the past year. As a result, he has increased his understanding of the shortcomings of federal and provincial funding — as evidenced by AADNC infrastructure funding -— and how it affects the operation o Líl̓wat Nation. Petsklh is in his fourth term on council. Saw̓t Martina Pierre considers attending a workshop on indigenous government to be the most important event of her 2015/16 council year. Saẃt is in her fifth term on council. 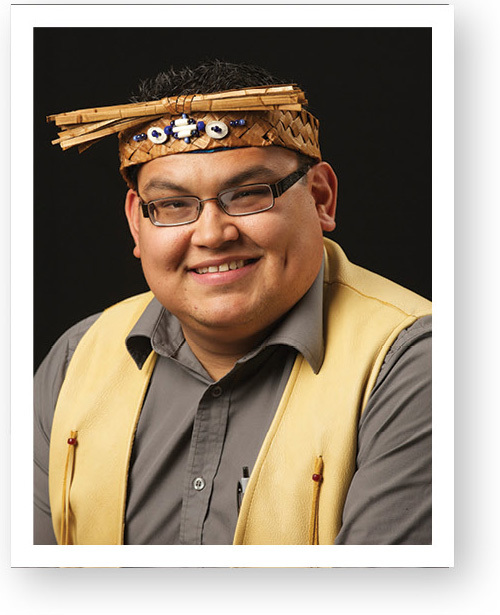 Sik Sik Joshua Anderson, Cultural Delivery Leader at the Squamish Líl̓wat Cultural Centre, has long been committed to language and cultural reclamation and preservation. Having studied Ucwalmícwts when he attended Xet̓ólacw Community School, he is very proud that his two young daughters are now enrolled in the school’s Ucwalmícwts Immersion Program. 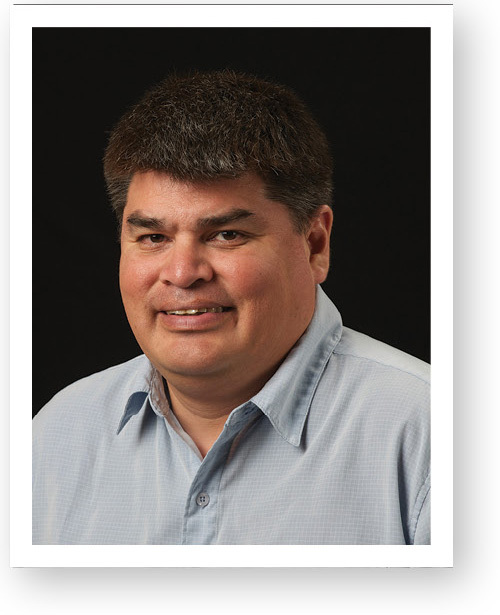 Holding the Lands and Resources portfolio, Sik Sik is passionate about ensuring that all decisions governing Líl̓wat lands — on-reserve and traditional — are empowering to the community. His vision for the nation is one in which Lil̓wat7ul, coming together to live traditional values, will run it. Sik Sik is in his third term on council. 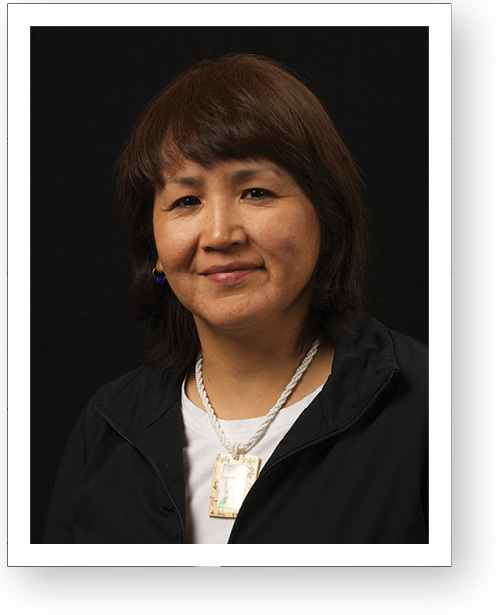 Tsekonámus Losi Rosemary Stager is proud to be active in portfolios that have focused their last year’s energies on moving towards asserting title and rights in the Whistler. 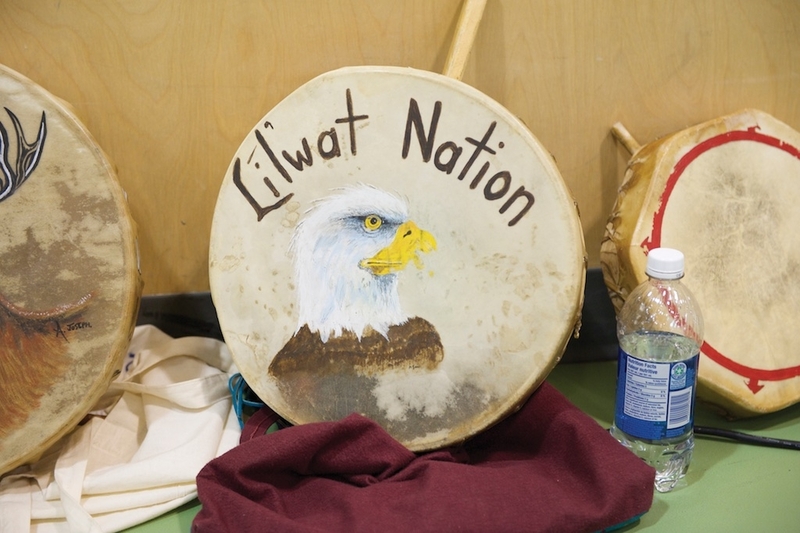 The Resort Municipality of Whistler had excluded the Líl̓wat Nation in its Official Community Plan process, a move that resulted in a court that ruled in favour of the Nation’s participation. On a personal level, she’s pleased to see her family engaging in “old ways,” participating in a tradition that was born on the land rodeo. Her two youngest sons and eight-year-old granddaughter have all become active in rodeo life, riding bulls and steers and barrel racing. Tsekonámus Losí is in her fifth term on council. Yámk̓cen holds no portfolios at this time. 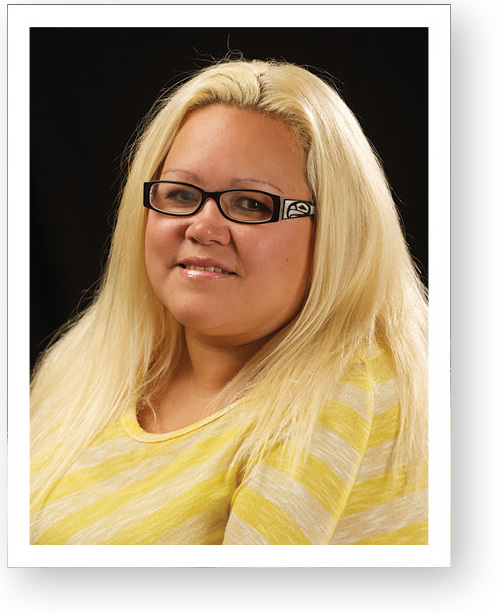 Yámk̓cen Tara Smith was re-elected to council as result of the February 2016 by-election. After three terms, she had decided in 2015 not to run so she could spend more time with her family. But the pull towards once again taking leadership role proved too great. In previous terms, she held the Governance Portfolio, working on putting the Nation’s administration systems, policies, laws and codes in place. Today, Ya̓mk̓cen wants her work to focus on the bigger picture. 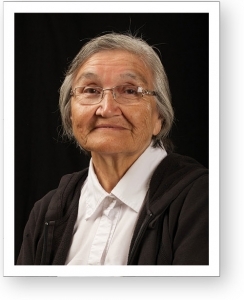 Yámk̓cen is in her fourth term on council. Greg Bikadi holds no portfolios at this time. Greg Bikadi’s journey to the council table has been a long one. It began when he was president and CEO of Líl̓wat Business Corporation, a position he held leading up to the2010 Olympic and Paralympic Winter Games. Realizing how council could effect real, positive change both inside and outside the community, he began to consider running. But at the time, it wasn’t possible to hold a senior position within the Líl̓wat Nation. “I was going to run in the general election in March (2015), but that ended up being a missed opportunity,” says Bikadi. When the byelection was announced in the fall, he grabbed this second chance to be elected. In the few months that he’s been a councillor he has come to a greater political understanding. “I’ve learned how to be part of a governing body. I’ve also learned that the role of a councillor is to help create policies that contribute to the well-being of The People,” says Bikadi. Having been born in the Pemberton Valley, he forged a bond to the land and all that exists upon the land. The well-being of the Líl̓wat Nation’s Territory is of high importance to him as the impacts from human activity continue to increase. Greg Bikadi is in is first term on council.